Some Advanced Continuing Education Courses are composed of online, live classes and hands-on practice designed to educate certified massage therapists and allied health care professionals on specialized techniques, providing them with the opportunity to become unique therapists. Participants are required to enroll and pay for classes (2) two weeks prior to the first day of class. Minimum of six participants required. Naturopathic Degree, Acupuncture certificate from China Academy of Chinese Medical Sciences, a Master Degree in Psychology from California Coast University, and currently finishing a PhD. 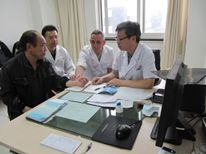 in Acupuncture at Nanjing University of Chinese Medicine.